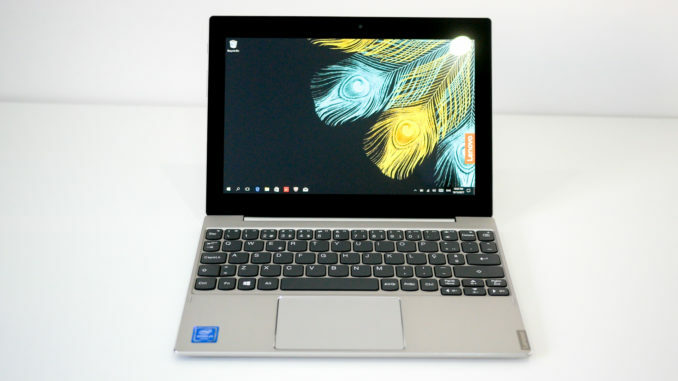 The Lenovo Miix 320 is a budget 10.1″ hybrid Windows tablet / laptop with a surprisingly low price considering the features. Utilising Intel’s power-efficient Quad-Core Intel Atom x5-Z8350 CPU, running at 1.44Ghz (turbo boost up to 1.92Ghz), the Miix 320 offers enough CPU power for everyday use without compromising battery life. Lenovo quotes up to 10 hours of battery life from a single charge. Our own tests were around 8.5 to 9 hours of continuous use, meaning you can take this on the road without constantly worrying about where the nearest power outlet is. 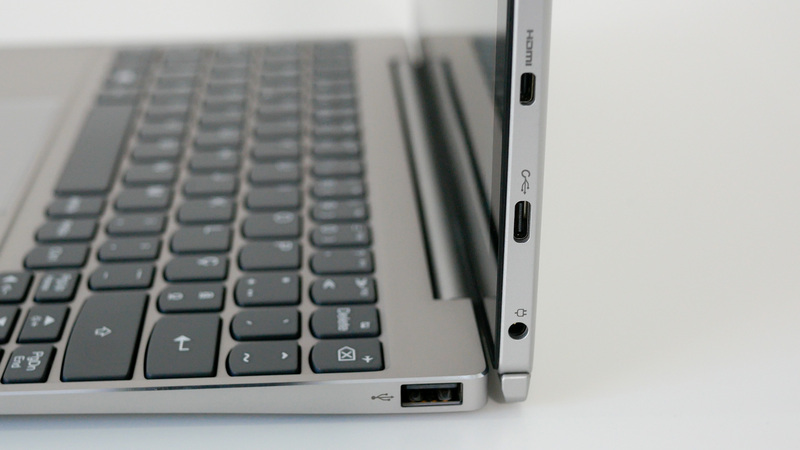 Two USB 2.0 ports are to be found on the keyboard – one on either side. There’s also an HDMI port, for connection to an external display, and an interesting addition is the presence of USB-C. A single USB type-C port can be found on the left edge. Unfortunately, though, it can’t be used to charge the laptop. For that, we’re provided with a traditional DC power adapter. The keyboard is pleasant enough to type on, apart from one minor niggle. 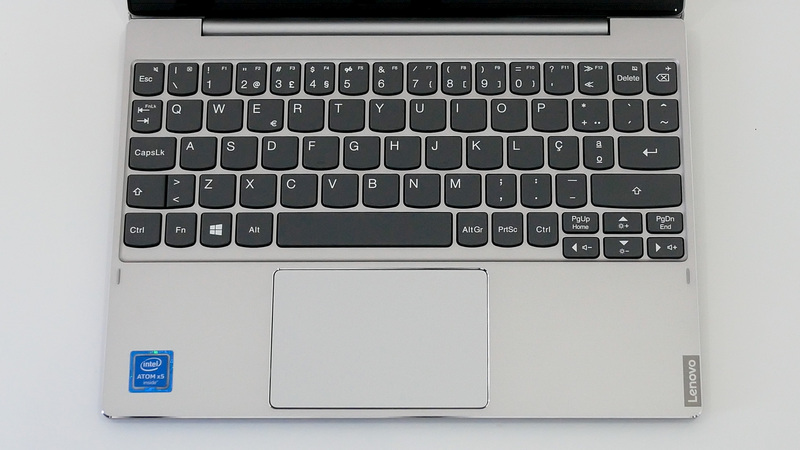 On most keybaords, the ‘1’ key is usually situated above and to the left of the ‘Q’. On this keyboard, however, it’s placed above and to the right. This means that I often found myself hitting back-tick instead of ‘1’. The integrated Intel HD 400 graphics is no gaming powerhouse. Most current games will struggle to run at anything over single-digit frame rates, even in low details settings. Some older games, however, like Counter Strike Go or Minecraft, are playable as long as you don’t mind sacrificing a little on the details. The 10.1″ screen has a resolution of 1280 x 800 pixels, and is an IPS panel, providing excellent colour and definition, even at extreme viewing angles.